Kitchen exhaust hood is an appliance driven by electric motor. It is installed above the cooking stove to collect the contaminated air, or include air return system close to cooking appliance to draw steam into the internal exhaust pipe. Exhaust fan can be installed either inside or outside, but should be controlled by range hood. Air can be exhausted to outside or return to inside after filtering. As one of the largest manufacturer in China, our kitchen exhaust hood is widely used in household and restaurant, etc. 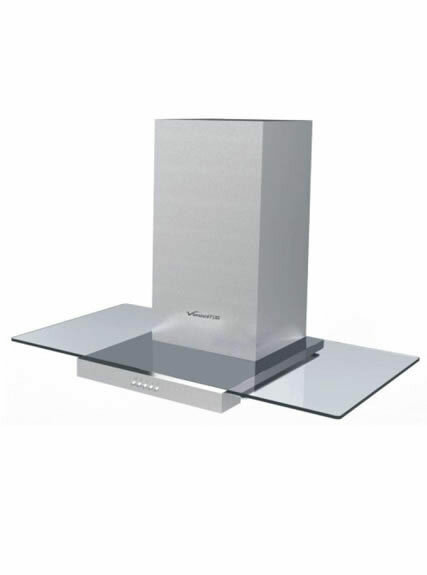 Range hood is made up of outer casing unit, filter unit, vent fan unit, electronic control unit and air outlet unit. Kitchen exhaust hood is installed above cooking ranges. After switched on and the motor is started, the wind wheel will spin in high speed, making a negative air pressure in a certain space above the cooking ranges. Then lampblack and gas will be extracted into the range hood. Filtered by the oil screen, lampblack and gas are separated for the first time. Then they enter inside the air flue and are separated for the second time by spinning of the impeller. Lampblack and gas in the wind box solidify into oil drops by the centrifugal force. In the end, they are collected in the oil cup and the gas purified is exhausted through the fixed passage. 1. 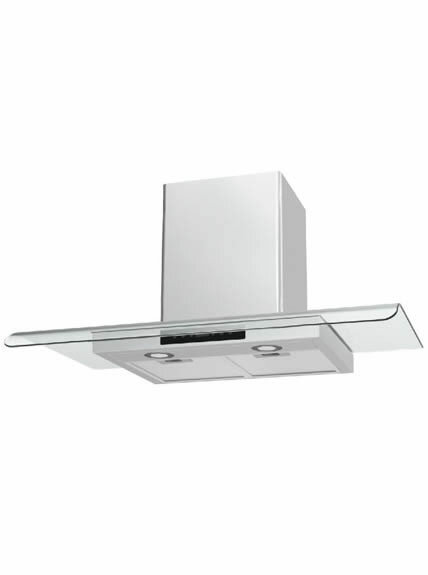 Kitchen exhaust hood uses stainless steel and tempered glass which is bright and clean, as well as not easy to rust. 2. It is with 5 layers aluminum meshes, efficient in filtering the lampblack and easy to clean. 3. With big suction scope which can exhaust lampblack thoroughly. 4. 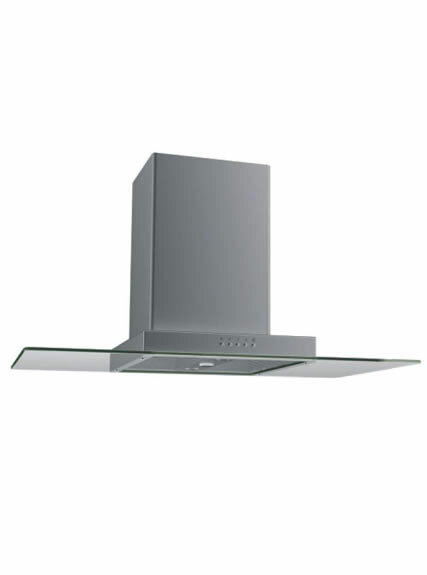 Range hood has two pole motors with 500-700m³/h extraction rate which can supply clean air when cooking. 1. 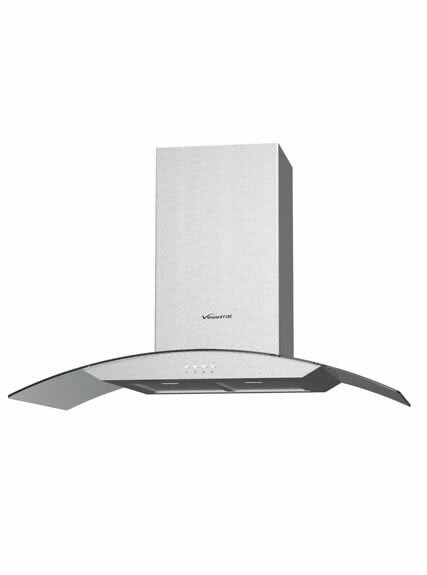 Our kitchen exhaust hood is full of modern style. 2. It uses high quality material, such as steel-430#, 201#, 304#, etc. 3. It adopts laser welding and stored energy welding technique which ensures high performance. 4. 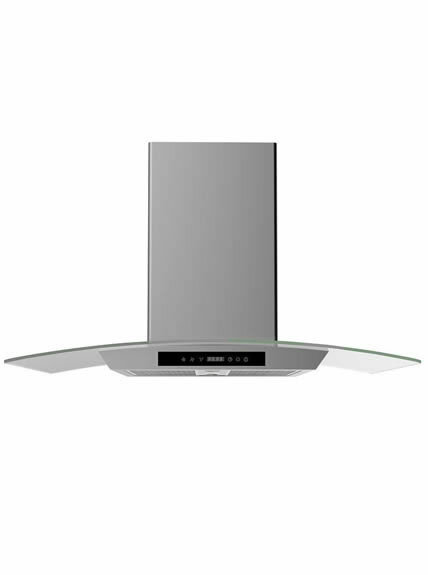 Our range hoods are with CE certification, ensuring top quality and supreme services.